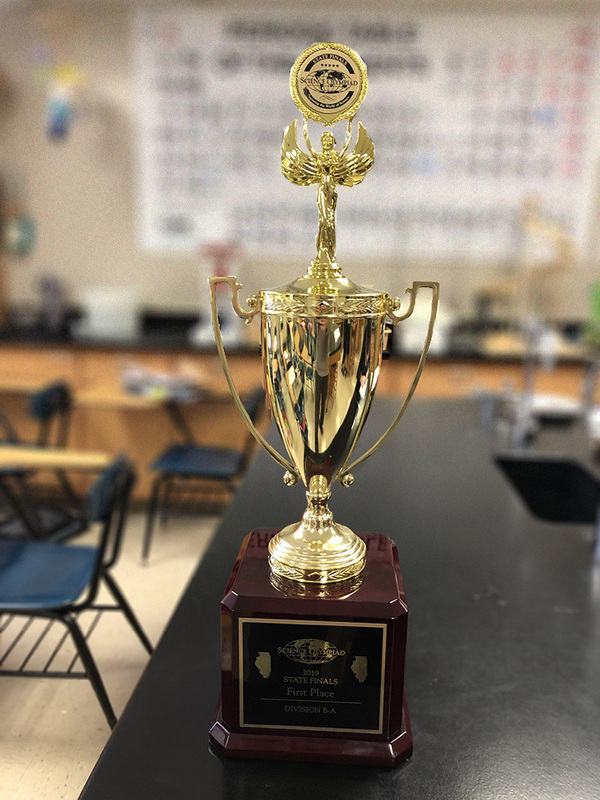 Congratulations to the Middle School Science Olympiad Team for finishing 1st Place in the 2019 State Championship. That's quite an accomplishment. All Middle School teams will compete. Team parents help with this event. (7AM-4:30 PM) A rotation and sign up sheet will be provided. One Middle School team of 15 will compete, if they qualify at Regionals. Seven alternates will be asked to compete in the Trial Events. Will I get my first choice? That depends on how many teams we have. We put those who are prior competitors, in the schedule first. We work very hard to make sure everyone gets an event from their top three. 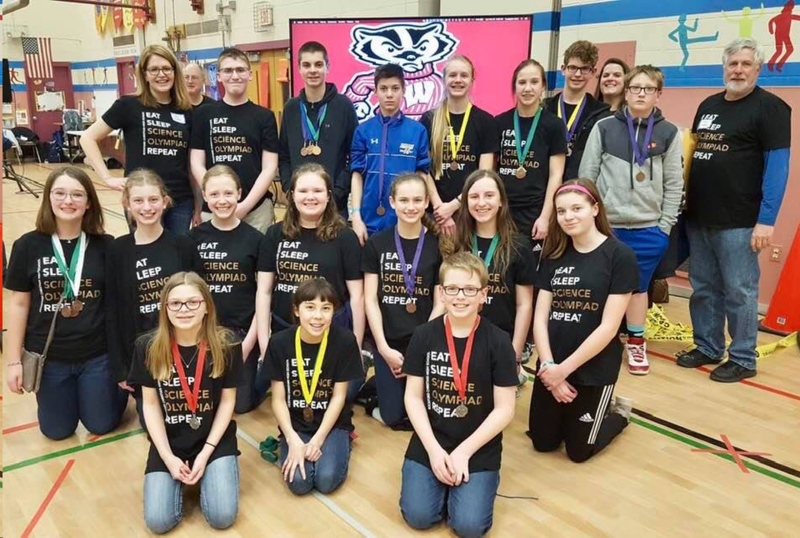 Congratulations to the Rockford Christian Middle and High School Science Olympiad teams who both competed at the Badger Invitational in Madison on Saturday! Our incredibly talented and hardworking students medaled in 14 events at the middle school level and earned 17 medals in the high school division! Both middle school and high school had a good showing as they prepare for their regional competitions in March. The roads were exciting and so were the results! Science Olympiad competitions are like academic track meets, consisting of a series of 23 team events in each division (Division B is middle school; Division C is high school). Each year, a portion of the events are rotated to reflect the ever-changing nature of genetics, earth science, chemistry, anatomy, physics, geology, mechanical engineering and technology. By combining events from all disciplines, Science Olympiad encourages a wide cross-section of students to get involved. Emphasis is placed on active, hands-on group participation. Through Science Olympiad, students, teachers, parents, principals and business leaders bond together and work toward a shared goal.” Teamwork is a required skill in most scientific careers today, and Science Olympiad encourages group learning by designing events that forge alliances. Each team consists of 15 students. These students work in pairs of two. Each individual team member will compete in 2 or 3 of the 23 events.